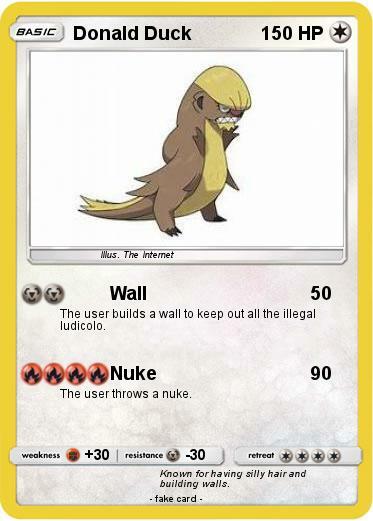 The user builds a wall to keep out all the illegal ludicolo. The user throws a nuke. Comments : Known for having silly hair and building walls.